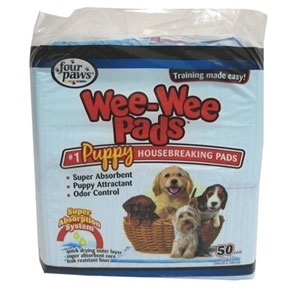 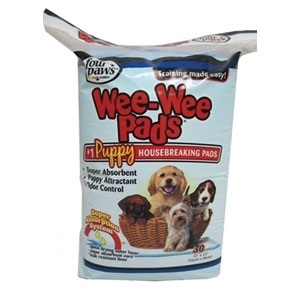 The super absorbent wee-wee pad is scientifically treated to attract puppies when nature calls. 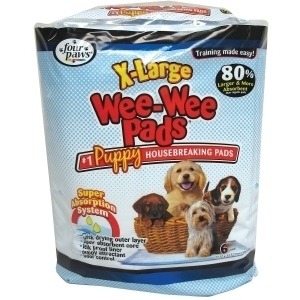 Plastic lining prevents damage to floors and carpets. 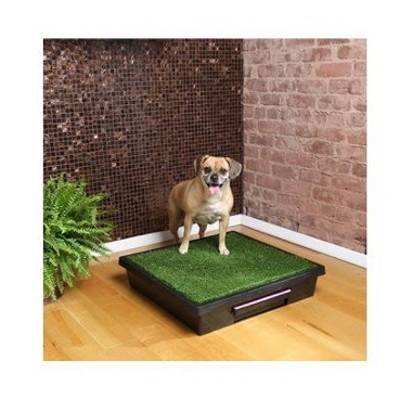 Versatile in that they can be used for training or as an everyday alternative to the outdoors when pets are house bound. 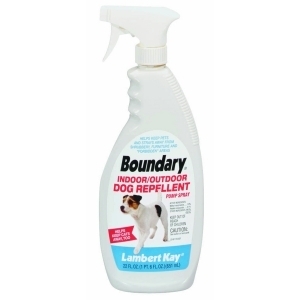 Keep your pets away from furniture, carpet, trees, shrubs, garbage cans/bags, and other forbidden areas. 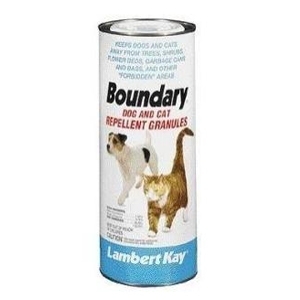 Boundary will repel dogs and cats for up to 24hours when applied daily. 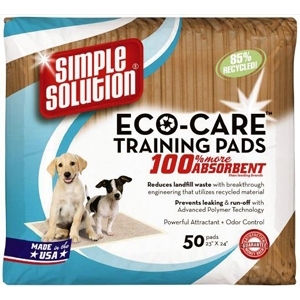 Eco-Care Puppy Training Pads help save you money by absorbing twice as much waste as the leading brands. 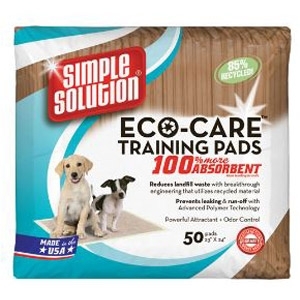 Pads help you save the environment too! 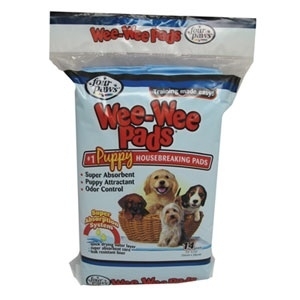 They are made from 85% recycled material and even keep your home clean with leak trapping polymers. 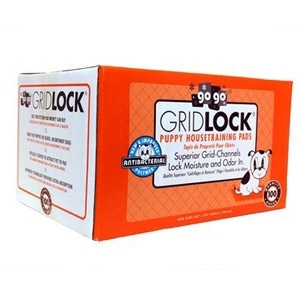 Odor control helps keep your home smelling clean as well. 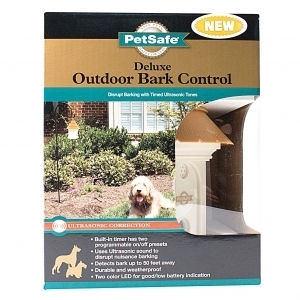 Pheromones tell your dog where to go.